Fashion pattern design, good choice for body art beauty. 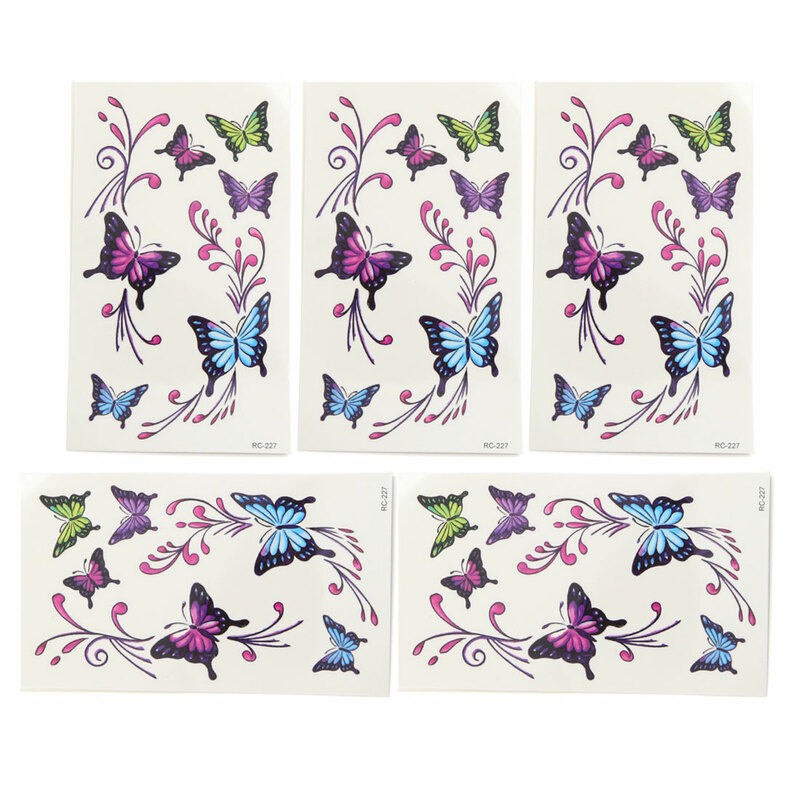 This tattoo sticker is waterproof and could last for a period of time, but due to the position is not the same, such as easy to friction site, durability is also different. you can stick it in the neck , arms, waist , legs , etc., you can also hide the body scars. Quick and easy to apply, great for festivals, parties and weddings etc. 1) Choose a design and cut it out, then tear off the clear film. 2) Put the tattoo sticker on the skin. 3) Wet the tattoo softly with water. 4) Gently remove the backing paper after 20-30 seconds. 5) Allow the tattoo dry naturally. 1. The real colours may be little different from the photo due to variations between the computer monitors difference. 2. Please use the makeup remover or the alcohol to remove the sticker when you do not want the tattoo.